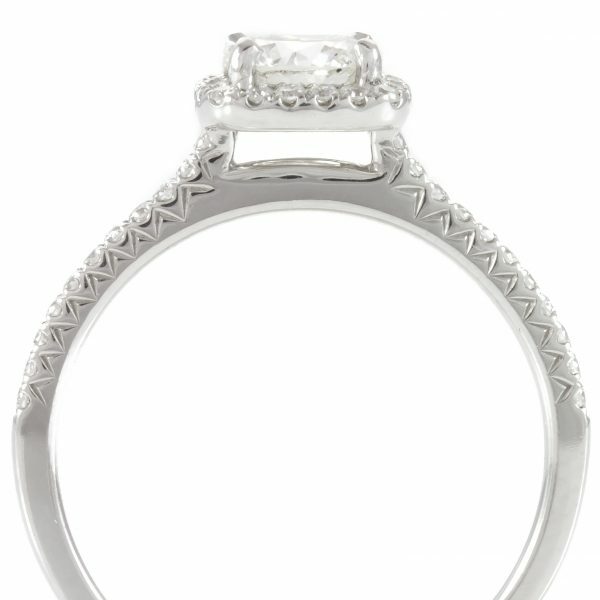 Petite 14K white gold halo engagement ring. 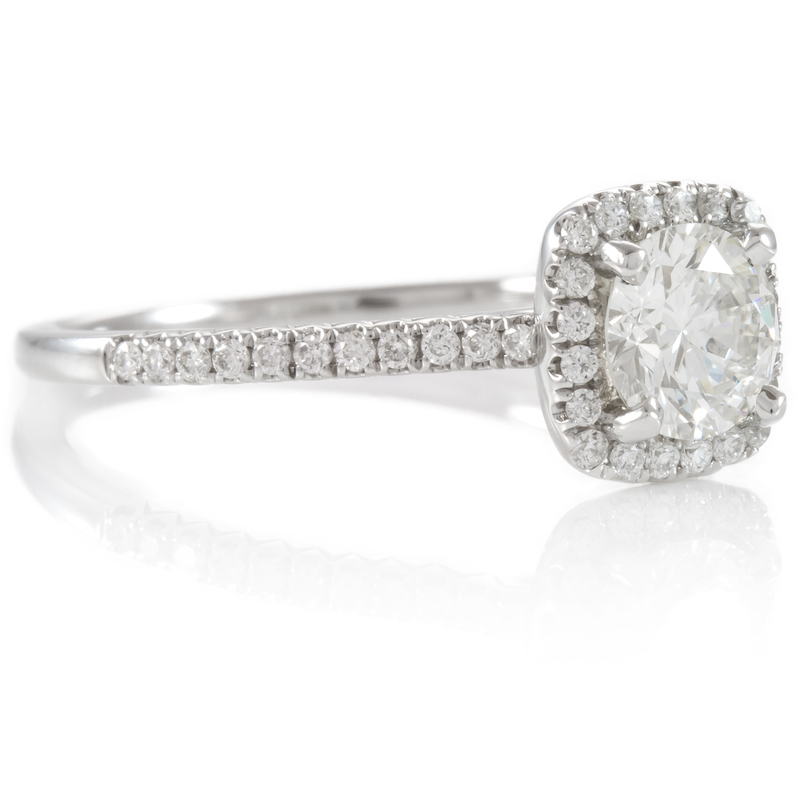 Center diamond is a 0.61 carat Round Brilliant Diamond. Halo is a soft cushion shape and fits a band directly next to it. 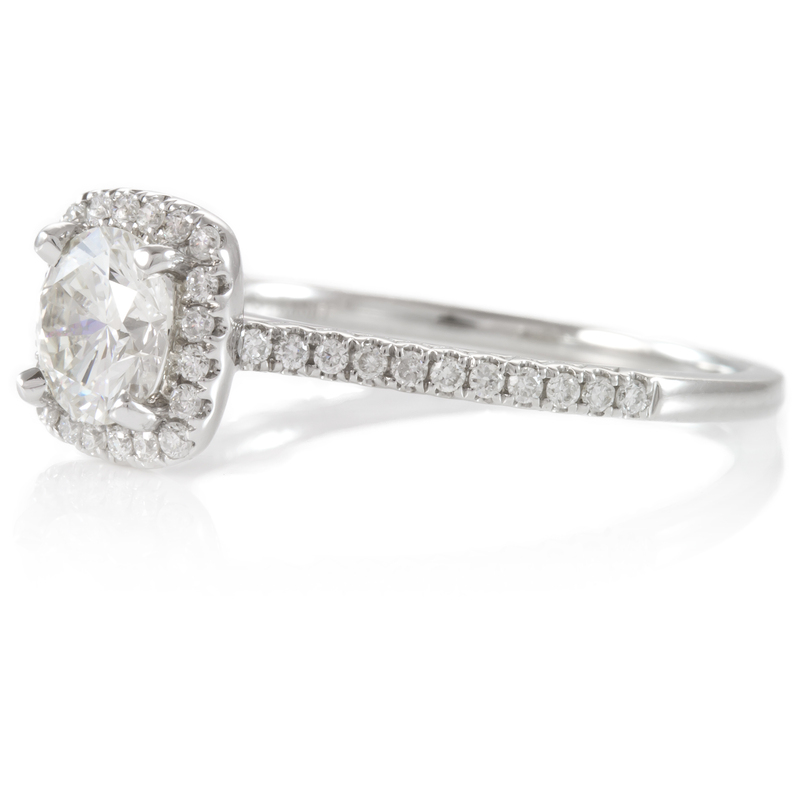 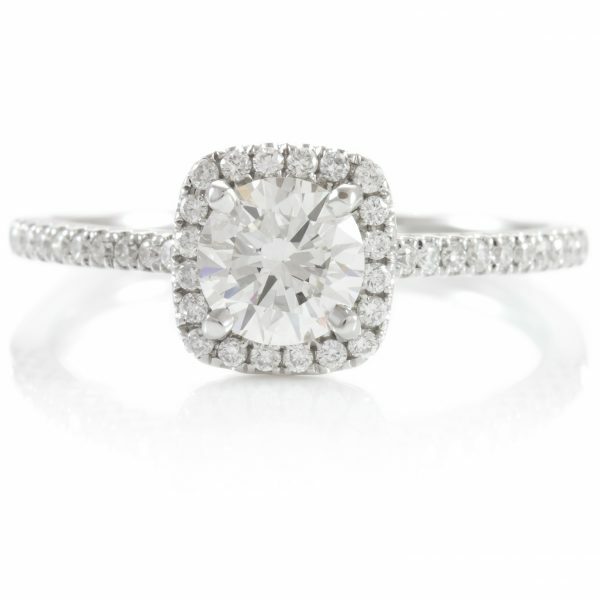 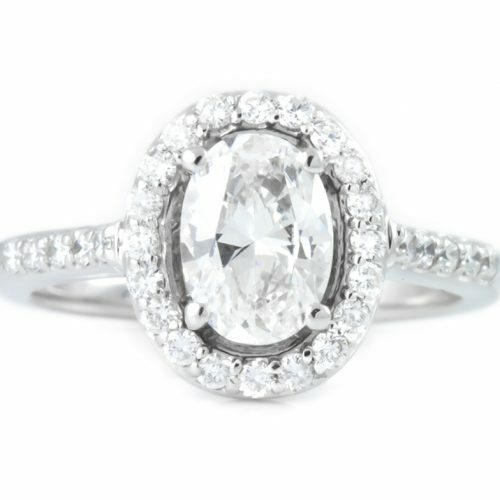 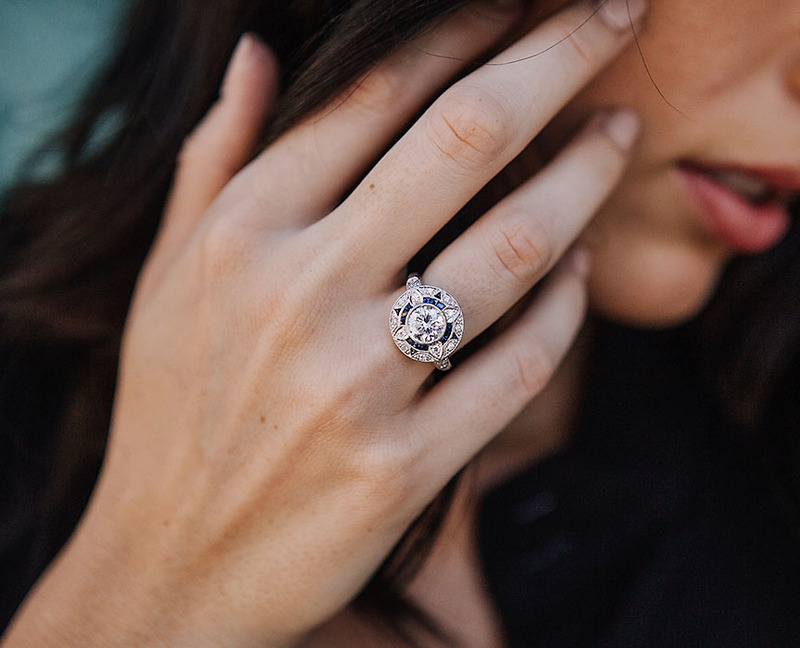 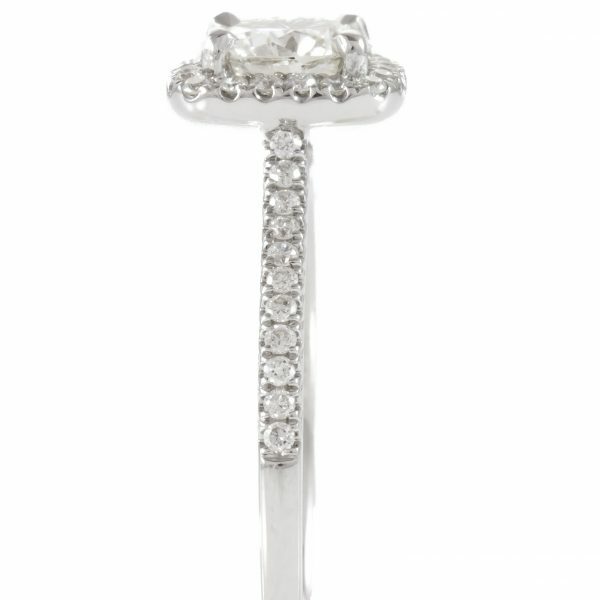 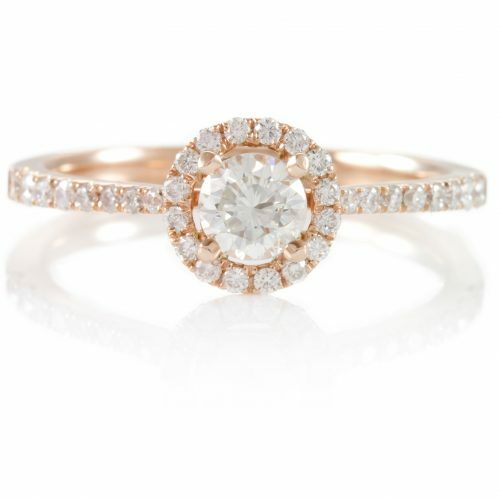 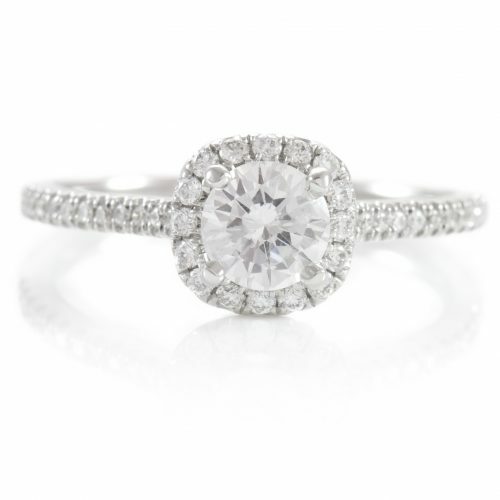 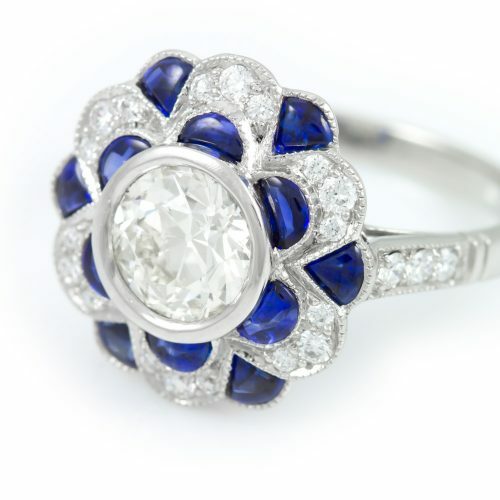 Center diamond is set in a 4-prong floating halo. 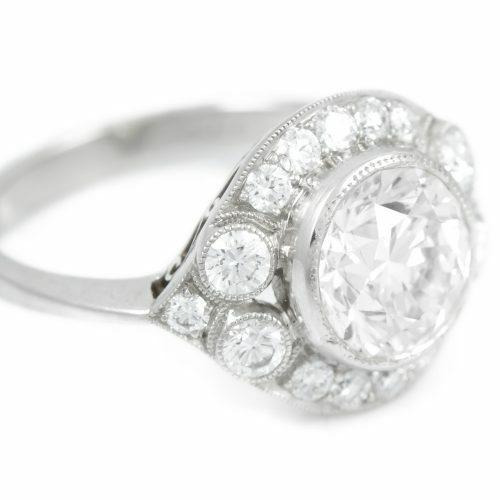 Ring is sizable.